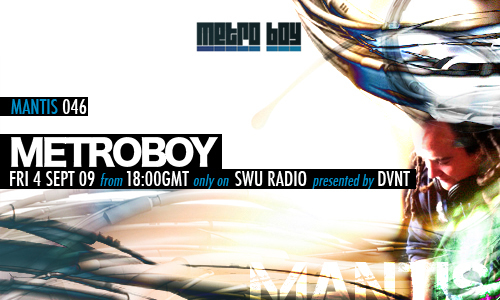 We present a session from Metro Boy – one of our earliest regular listeners, and an ever growing force in British electronic music. Metro Boy is Ben Ervine, a producer/DJ from the southwest of England. Better known as being one half of festival breaks mega raver favourites Ben and Lex, his music under this alias is a crunchy, hard-bleep style mix of minimal and tech house, with unflinching grooves and uplifting tones. In February his remix of Benjamin Vial’s ‘The Bass and the Monkey‘ was released on Plasma.Digital. Further remixes for Ape and VIM records are in the pipeline. Since Sept 2007 Metro Boy has hosted a bi-monthly tech house, minimal and techno show on Brap.FM featuring the latest music from Minus, Get Physical, and Berlin as well as many modern tech producers. A full archive of the show in podcast format is available on Ervine’s Metro Boy blog. Well worth exploring for some awesome selection from tech jazz and deep house, to crunchy techno.